Visit nature that is separated from the modern world by a boat ride away and enjoy the fresh local seafood. This Japanese Style Inn has 2 piers and 2 large ships. Upon request you can arrange a sightseeing cruise around Ago Bay and take in the beautiful view. 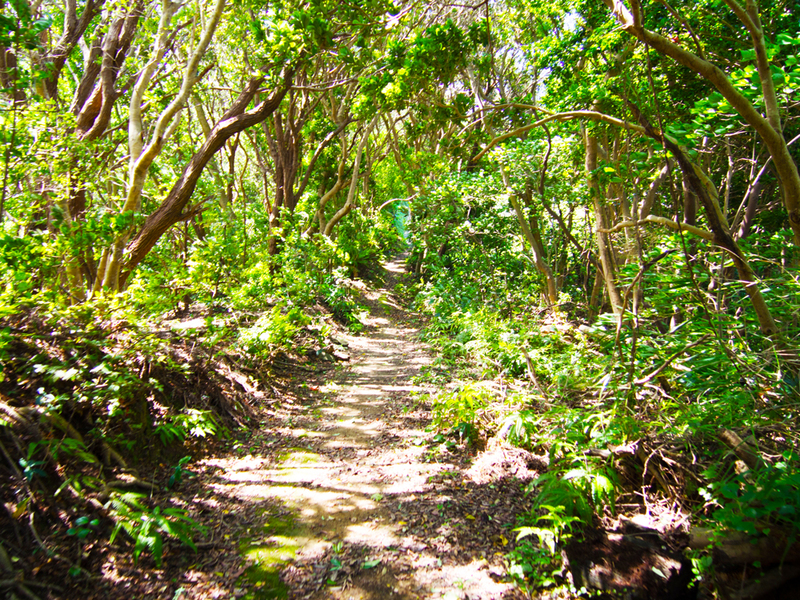 Swim surrounded by nature in Masakijima. Ago Bay has a large variety of fish that can be fished from the wharf and piers. Japanese spiny lobster and abalone, the freshest seafood can be served to you in several ways including sashimi or salt grilled. 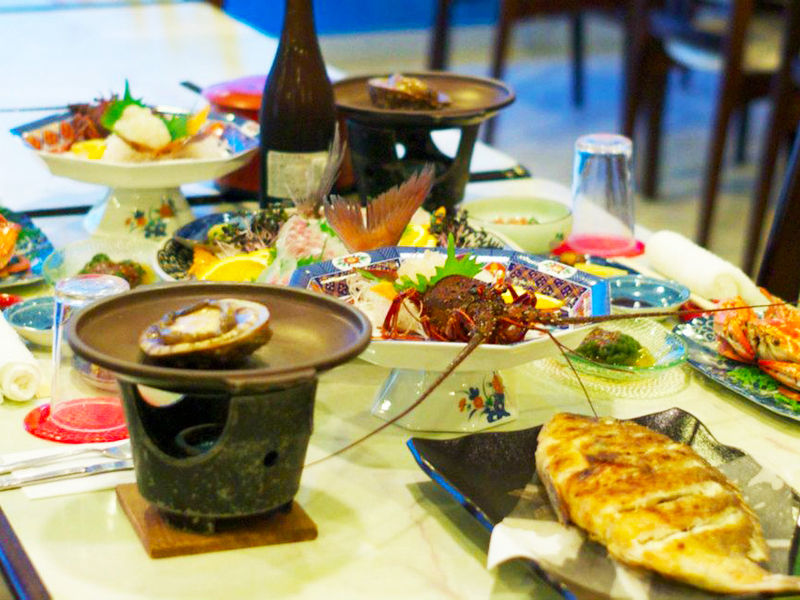 Guest can also look forward to seasonal seafood like the watari Crab. 1 . Where is it? Masakijima is located in Mie Prefecture. 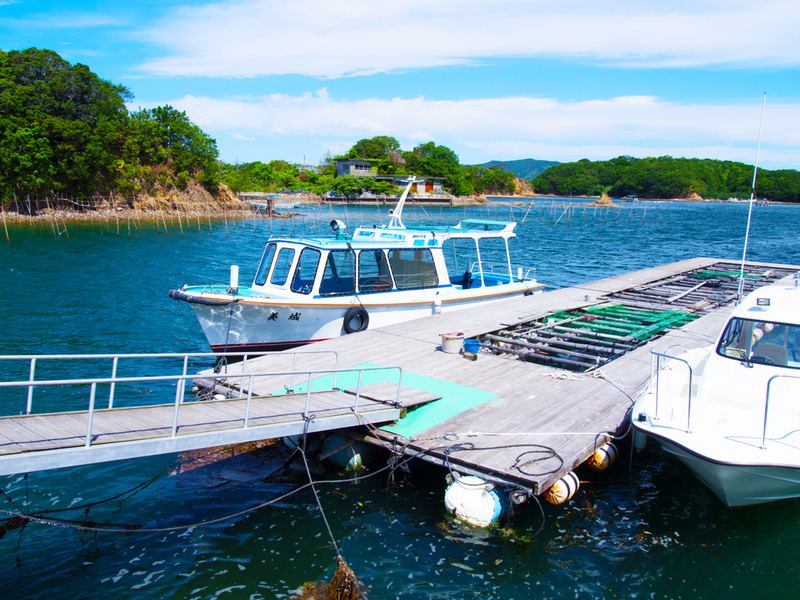 It is a part of Shima City and floats happily in Ago Bay. The name is thought to have been received from its terrain. In the Shima Dialect they call the beach between two reefs “Ma”. “Saki” mean peninsula and “Jima” means island. The size of the inner bay is 2nd after Kashikojima. It is positioned 4.1km from Wagu and 3.0km from Kashikojima. 1 . It is the sole lodging on the Island. That means that the inn will service each and every guest so that they can enjoy the island to the fullest. 2 . The inn is 1second from the ocean. That means the seafood you will be enjoying for your meals was just swimming in the ocean right outside. 3 . Enjoy the view of the ocean from our large public bath. The water source in Masakijima is received from Ise Jingu Grand Shrine. That means the water is the highest quality both spiritually and for your body. Depending on the season, we offer dishes with the freshest ingredients on a day to day basis. 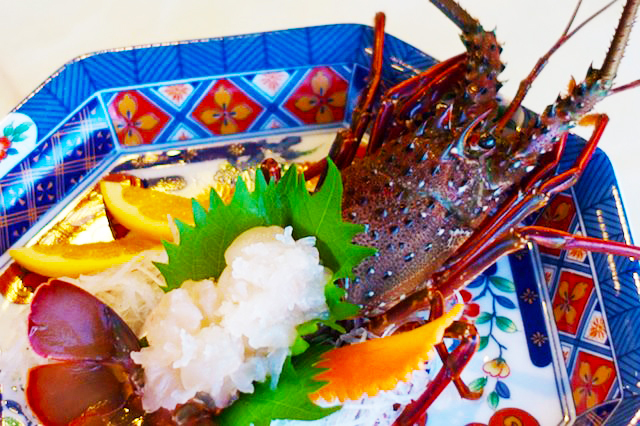 The Japanese spiny lobster that is served at Miki is caught in the local Wagu Sea area. The area is well known across Japan for its lobster. We can prepare them however you want them. Boiled, grilled or served as sashimi the taste is to die for. Because they’re caught locally we can offer luxurious gourmet dishes. 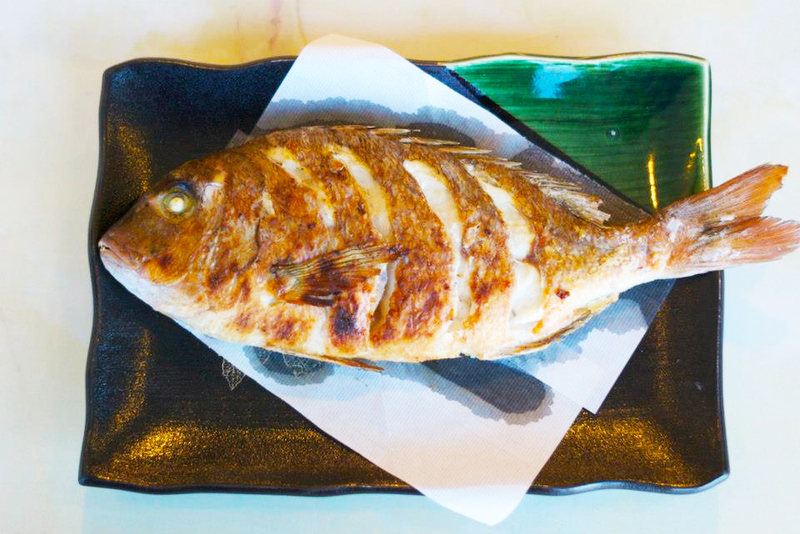 One of our most popular dishes, our “salt grilled sea bream” is a delicacy that is slow cooked in our well equipped kitchen so that they are cooked to perfection each time. Depending on the season we can also offer olive flounder and striped beak fish.